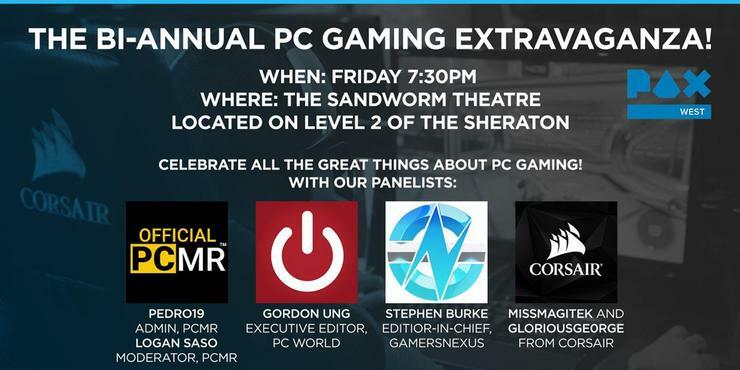 If you’re at PAX West this Friday, stop by Corsair’s bi-annual PC gaming panel where you can hear community experts discuss and debate the greatness of the PC and PC Gaming. The panel will take place at 7:30 p.m. PDT on August 31, in the Sandworm Theater on the 2nd level of the Sheraton Hotel in Seattle, Wash.
Will Nvidia’s mysterious new GeForce RTX be discussed? Will you find out if AMD is better than Intel? There’s only one way to find out. See you there.